At October's Sacramento Archives Crawl  (a Northern California open house for history buffs), Heather Lanctot, who is the Archives Coordinator for rural Yolo County , expressed her profound sense of the importance of remembering the tragic WWII internment of Japanese Americans , a focus of PHS and other history institutions in 2017, the 75th anniversary of Executive Order 9066 . According to Lanctot, who has degrees in Musicology and a Masters in Library and Information Science from San Jose State, many of the Japanese citizens who use her archives today in the city of Woodland are researching the history of their own families. 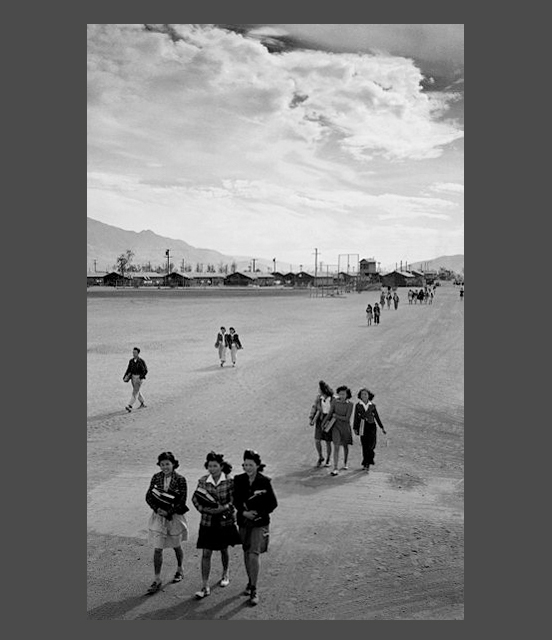 The years that a parent or grandparent spent at one of the California internment camps, Thule Lake or Manzanar, she explains, represent a piece of their own family legacy. 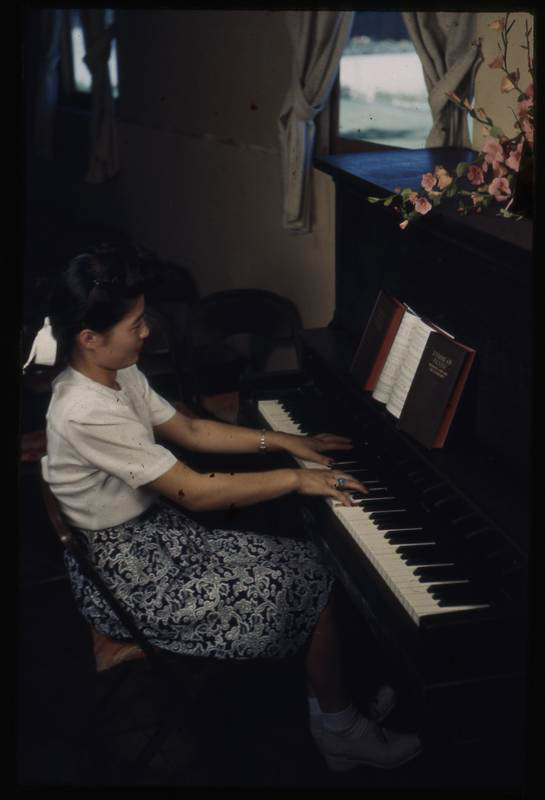 With her strong background in music, Lanctot says that she would be interested in researching the use of liturgical music at the various confinements, which many describe as concentration camps. 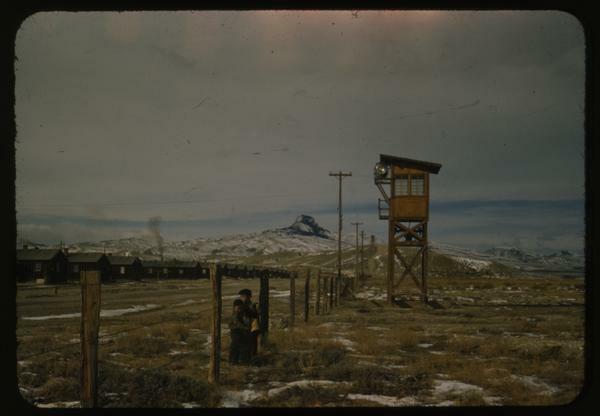 To varying extents, Japanese Americans were able to use song and other arts to make the horrific experience at least partially bearable. It gives a great deal of pause to think that Toshiaki Okamoto’s "Joyful Christmas Day is Here" (known as "Kurisumasu" in Japanese) may have been sung at the internment camps during the grueling incarceration. These days, as part of the Presbyterian Hymnal of Hymns, Psalms, and Spiritual Songs  (1990, Westminster/John Knox Press), the music gives a joyful holiday comfort to millions of worshippers all over the world. Miwako Isano, who travels widely as a professional soprano vocalists, attends Parkview Presbyterian Church  when she is at home in Sacramento. Isano is noted for her performance in The Sisters of Manzanar , an opera that tells the story of two siblings who survived the trials of confinement in a World War II internment camp. The opera by Paul Stuart (who has worked extensively for the California Opera Association ) suggests that music informed camp life in ways big and small, to raise spirits and to transcend the dehumanizing details of day-to-day life. For example, one of the performance's songs is about coping with the necessity of eating the cheap organ meat provided to prisoners. Popular songs and the traditional music of many faith communities are just two possible ways prisoners survived their confinement. As we reflect on that tumultuous history three quarters of a century later, we should remember not only the injustice of the camps, but also the unbroken humanity of the imprisoned. --William R. Laws III is a member of the PHS Advisory Council. A working writer for Valley Communications in Sacramento, CA, Bill is "class-A history enthusiast" who is thankful for the strong interest in history in the PC(USA). Read his earlier post on Japaneses American incarceration, "Juxtapositions in Remembrance," here .